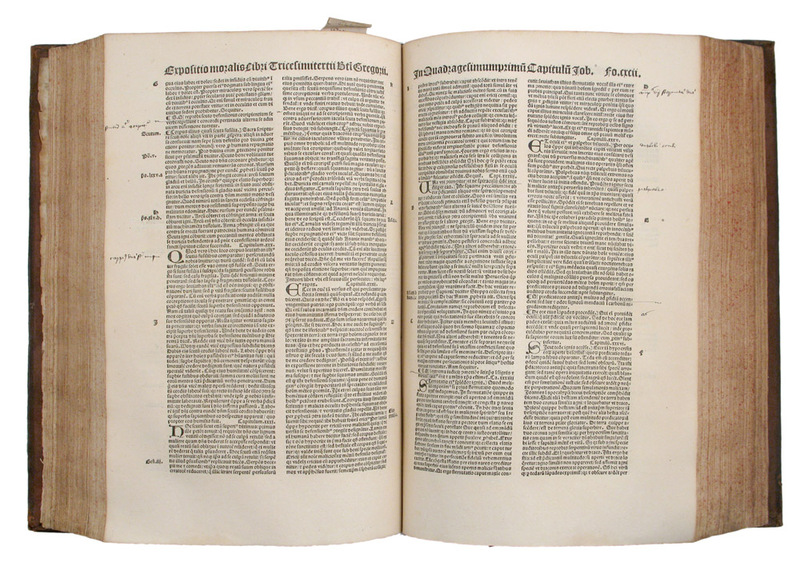 ...Complectitus item quosque liber suum inventarium. 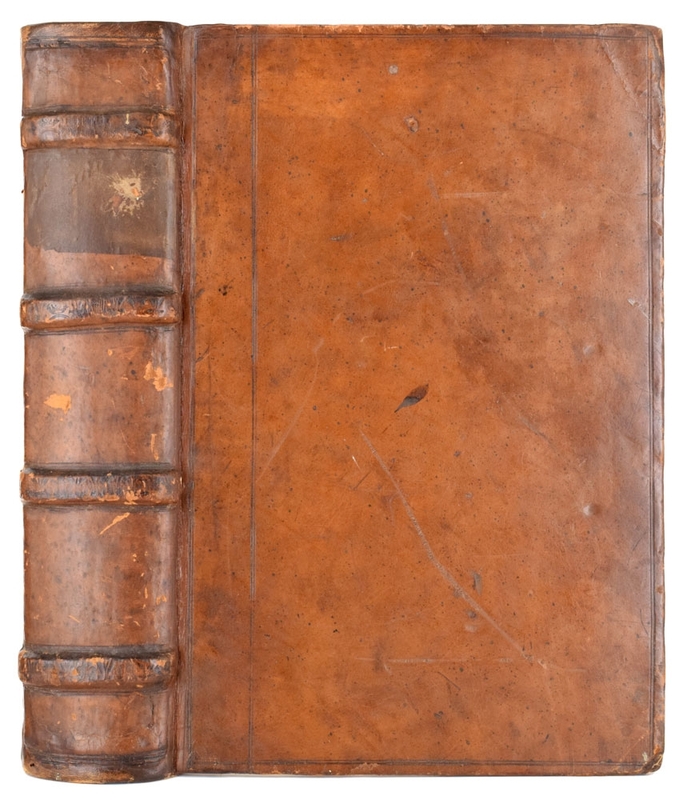 Notes: An early reissue of the 1518 editio princeps of the collected works of Pope Saint Gregory I, called 'the Great' (c.540-604). Saint Gregory wrote widely, more so than any previous pope, and had an enormous influence on the development of medieval Christianity, both through his own works - he reformed the liturgy and established the Kyries at the beginning of Mass, and initiated the conversion of the British Isles - and later attribution: 'Gregorian chant' (plainsong) was so named in order to give it the air of tradition when it was developed years after his death. 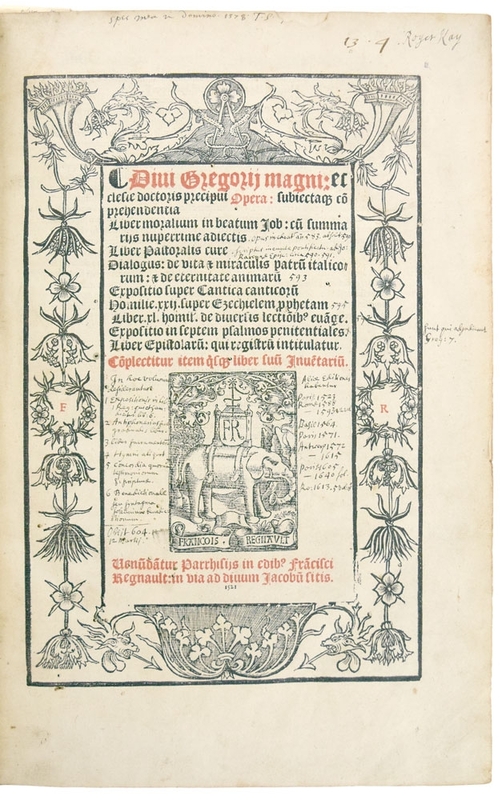 Among his writings are dozens ...moreAn early reissue of the 1518 editio princeps of the collected works of Pope Saint Gregory I, called 'the Great' (c.540-604). Saint Gregory wrote widely, more so than any previous pope, and had an enormous influence on the development of medieval Christianity, both through his own works - he reformed the liturgy and established the Kyries at the beginning of Mass, and initiated the conversion of the British Isles - and later attribution: 'Gregorian chant' (plainsong) was so named in order to give it the air of tradition when it was developed years after his death. 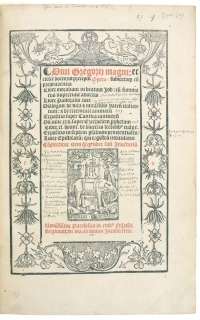 Among his writings are dozens of sermons, a Commentary on Job (the 'Magna Moralia'), 'The Rule for Pastors', and numerous letters. Individual parts had been printed in the fifteenth century, but the first collected works appeared in Paris in 1518. 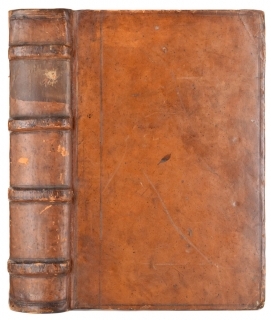 This volume, printed by Regnault, is the first reissue of that edition recorded in Adams; it maintains the same pagination and collation, and some copies may even retain the earlier date in the colophon.